Horizon Homes Construction Company was created to offer customers the best possible options for their future dream home. With our long experience of Koh Samui construction and the problems that can arise from trying to build a house on the island, we have drawn together a company of the highest standards of building staff and architects, to give our customers not only choice but confidence that there house will be completed to their satisfaction. Our team has been building European quality Villas and condominiums since 2007. We will be able to provide our customers with different options in terms of price and design. We can offer builds from 30,000 THB PSQM to 45,000 THB PSQM depending on the type of build and customers specifications. We strive in helping customers to find the price that would best suit their budgets and designs. The architects that work with us will be able to offer many type of perspectives from European to Asian design, all must have high levels of academic achievement and full certification. Horizon Homes Construction Company will help with all negotiations, design and contracts, allowing you the customer to know that you are in the safest possible hands, before you under take the journey of building your dream home. Let us use our knowledge and technical skill to help you in building an exceptional home. Horizon Homes Construction Company is a privately owned company that was founded by Alexander Armitage & William McClintock in 2007. 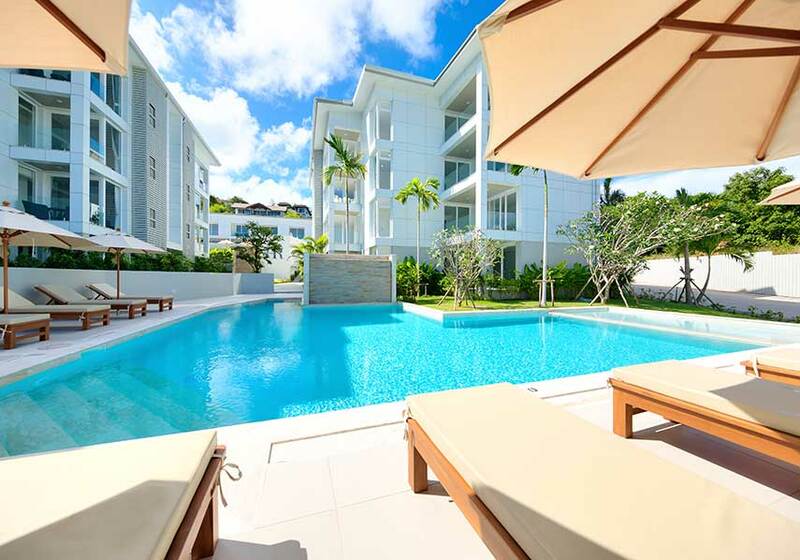 The company Specializes in building private luxury villas in Koh Samui Thailand. The company constructs on average 3-5 Villas a year with the average build price of 18,000,000 thb per Villa. The Villas tend to be over 350 SQM in size and built with high end materials. HHC employs over 30 full time staff and many subcontractors. Horizon homes Construction Company is a private company with an annual turnover of 20,000,000 thb. We work as a turn key contractor. This means we will do everything from structure to the kitchens. Everything is controlled by us so you the customer do not need to worry about any of the small details of the building work. We pride our ourselves on building some of the most beautiful homes in Asia. We can provide electrical infrastructure including transformer poles and high voltage cables. We can also do excavation work such as rock breaking and earth removal. We can construct roads and drainage, as well as digging and mains water pipes. We have a strong connection with the local authorities so things can be done smoothly. We can build structures and piping for all types of swimming pools and provide extensive knowledge on the best products to use. We have installed tiled pools, Beadcrete pools, Pebbletec pools and liner pools, so we have strong knowledge on what works best in the local climate of Koh Samui. Horizon have refurbished many homes and offices on the island. This can often be tricky as issues can arise that may go unseen without an in-depth consultation initially. We strive to ensure these issues are highlighted and dealt with before the work is started. We have a team of highly qualified engineers to work with you on designs of all types. Our engineers know all the rules and regulations to make sure the projects that they handle are up to code and built to the highest standard. We can do all types of finishing work from gypsum ceilings to floor tiling. Our staff are highly qualified at working on the finite details and taking pride in their work. We have the staff to erect any structure, be it steel or cement. From foundations to rooves, we have built some of the most intricate structures on the island of Samui. Our electricians are highly skilled and all work is completed to the highest Western standards and safety levels. After years of working on Koh Samui, this is something we take very seriously. Every attachment uses a connector, every wire is tested, and all fuse boxes and fuses used are to exact standards, ensuring your safety. We have our own plumbing team that can work on all types of jobs. We use pressure testing and all the latest piping techniques to make sure there is good water pressure and no future piping leaks. We also have years of experience with septic tanks and have installed waste systems of all types. We use the best carpenters on the Island to provide the best doors and floors you can find. We can also install railings and exterior ceilings. We can provide doors of a variety of materials, all fitted to the highest standards.